What Is a Non Testamentary Trust? A trust is a legal document that allows a trustee to hold property for the benefit of others, known as beneficiaries. Trusts are created when a grantor or settlor asks the trustee, which can be a company or a person, to hold and distribute money or property to beneficiaries. The grantor names beneficiaries in the trust documents, and the money and property in the trust will be distributed based on the grantor’s instructions. For example, a grantor can designate that no money is to be distributed to beneficiaries unless it relates to their health, education or welfare. Trusts typically fall into one of two large categories: testamentary and non-testamentary trusts. A testamentary trust is created through a will. Testamentary trusts become effective when the grantor dies. The testamentary trust must be included in the probate process as part of the will and then it becomes effective. 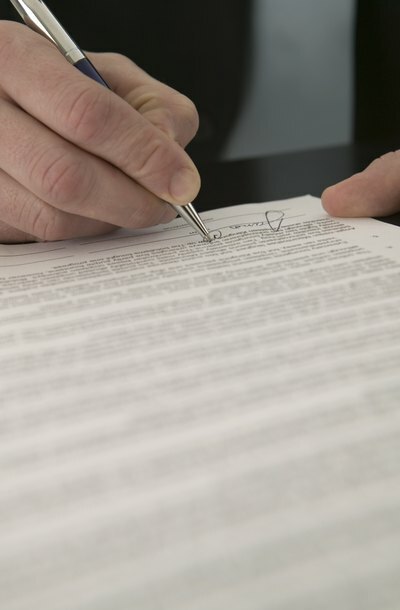 Testamentary trusts are revocable; the terms of the trust may be changed at any point during the grantor’s lifetime since the trust does not become effective until after his death. Non-testamentary trusts are called living trusts or inter vivos trusts. These are trusts created during the life of the grantor; they are effective when created or upon the occurrence of a specific event stated within the trust document. Individuals often create non-testamentary trusts to pass property or money to beneficiaries and to avoid the probate process. The probate process can be costly and time-consuming as it can tie up property and money for a year or more. When you create a trust, you draft a document stating that you are establishing a trust that holds property or money for the benefit of certain people. You can name anyone you want as the beneficiary, including yourself. The trust will be taxed differently depending on how it is structured. When you transfer property to a trust, you cease to be the owner of that property or money; the trust becomes the owner. You will need to change ownership of property you put into the trust. For example, if you put your house or stocks in the trust, the name of the trust should be listed as the owner. You can also select anyone you like as a trustee and that person will have fiduciary duties requiring him to abide by the terms of the trust. Unlike testamentary trusts, non-testamentary trusts can either be revocable or irrevocable trusts. The difference between these two types of trusts is whether the grantor retains the right to change the trust once it has been created. A revocable trust allows the grantor to change the terms of the trust or terminate it. In contrast, an irrevocable trust is a permanent decision to put money or property in the trust with a specific designation; thereby, giving up all rights to the money or property held in that trust.